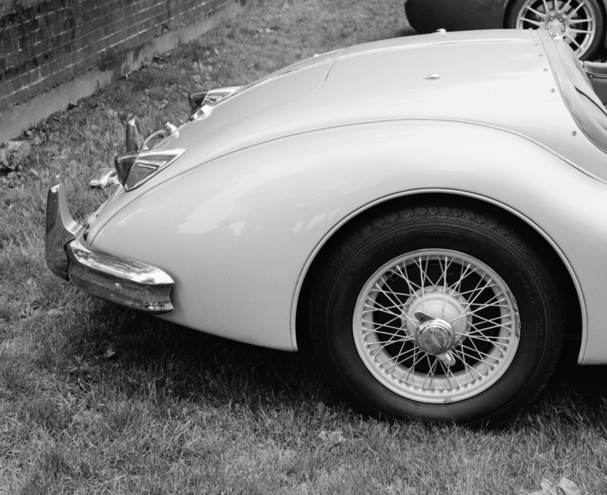 Classic lines on the rear side view of a 1954 Jaguar XK-140. Taken at the Caffeine and Carburetors event in New Canaan, CT. Shot with my Pentax 6x7 using Ilford HP5 film.